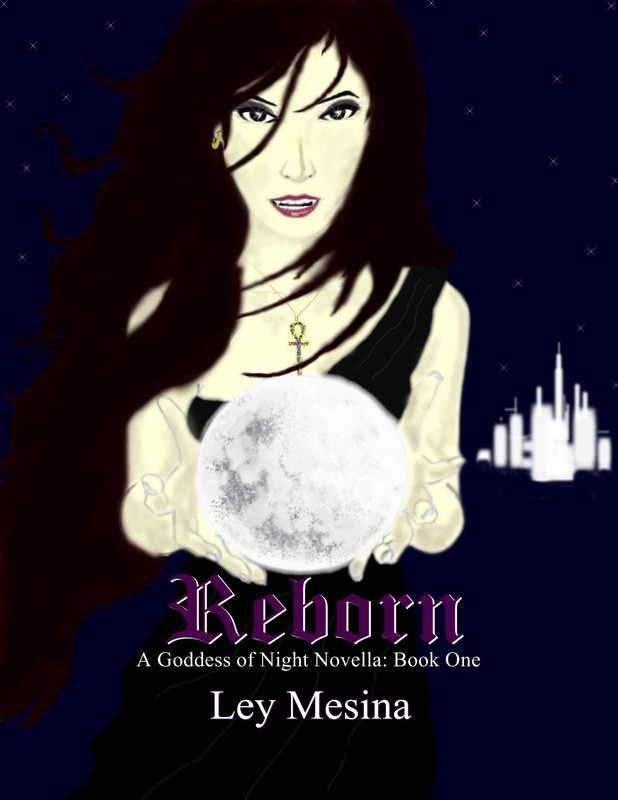 Today we’re having author Ley Mesina here at the blog! She’s one of the the Small Blogs, Big Giveaways featured authors, so let’s get to know her! Ley Mesina spent most of her childhood and young adult life writing short stories. She planned to teach after she graduated with her Master’s in Psychology but, instead, decided to pursue her passion for writing. Ley lives in Southern California with her husband and children and is a frequent visitor of her own imagination. I started writing at an early age. In elementary school we would have to write short stories and sometimes there would be contests. I remember my teachers telling me that my writing was very good, but it was too “scary” for school material. My writing continued throughout high school, and then I took a hiatus for a few years when I was going through my Bachelor’s degree. The program was pretty intense and I was consumed with writing a paper (sometimes two) each week. I started writing again toward the end of my degree. I’ve had several stories started but unfinished. Then I came up with Reborn and started writing non-stop once I graduated with my Master’s in Psychology in 2010. I was planning to teach, but during that time schools had put a freeze on any more hires, so I thought it was a perfect time to pursue my passion in writing. The truth of the matter is I enjoy writing! I’m perfectly content writing books because in a world where most (not all, but most) things are so serious, where responsibility is always a priority, getting lost in my imagination is a sense of release and freedom that I’ve never felt. It’s like going on vacation. When I write, I get to live in that world and I feel connected to the characters I create. It’s truly an amazing experience and I want to share it with the world. When I was younger, my biggest inspiration was R.L. Stine. I really enjoyed his books and I wanted to write books just like him. Edgar Allan Poe also fascinated me, as well as William Shakespeare and Greek Mythology. As I grew older my interests expanded and I would read just about anything that caught my attention. I have a wide range of interests and that’s the way I like it. Life is too short to not explore (whether in real life or imagination). How did you come up with the story for Reborn? I had several stories at the time but none of them felt right. So I took some time to re-evaluate. During this time there was so much hype about vampires and werewolves that I just thought, “why not write about vampires? It’s what’s “in” right now and it’s something that interests me. As I was thinking about the storyline, I thought it would be a great twist to add witches into the mix. Then I came up with the idea of incorporating mythology and thought it would be perfect if I combined that concept with my witches. Do you have any parting thoughts for your readers? Writing has always been such a big part of my life and I just want to be able to share it with them. I’m grateful for everyone who has supported my writing, the newcomers who have just discovered my books, and even those that didn’t like it so much. All the ups and downs have made me grow as a writer and I’ve learned to appreciate the good with the bad. Greek mythology was one of my early inspirations too. I wonder how many other authors were inspired by the classics at a young age. Congrats on your release. Wow sounds like a great author and a great book. Cant wait to buy a copy and read it!! Keep up the hard work, it is greatly appreciated by me and others who love to escape into a good book!